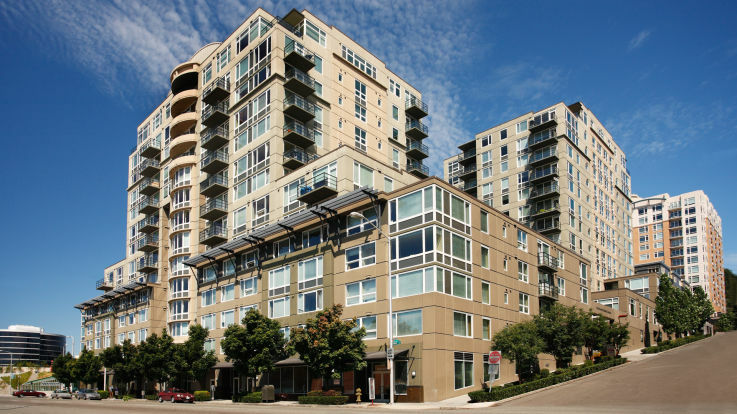 Check out our buildings which have some or all apartments with air conditioning. Seattle’s stunning scenery and mild climate is a major draw for many searching for their new home. Temperatures usually stay between 40 and 70 degrees Fahrenheit year-round, so there is hardly any need to worry about scorching summers or freezing winters. However, we all know that Mother Nature can toss us a surprise on occasion. 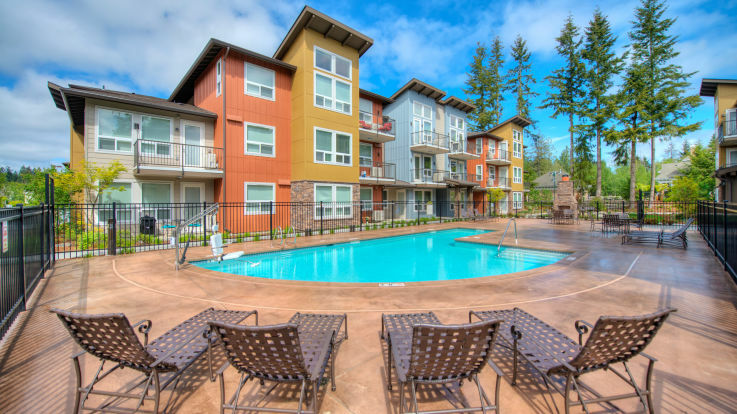 Thankfully, our offering of available apartments homes includes a number of Seattle apartments with air conditioning. Offering A/C is just one small part of our mission towards offering homes where our residents feel happy and comfortable, 365 days a year! 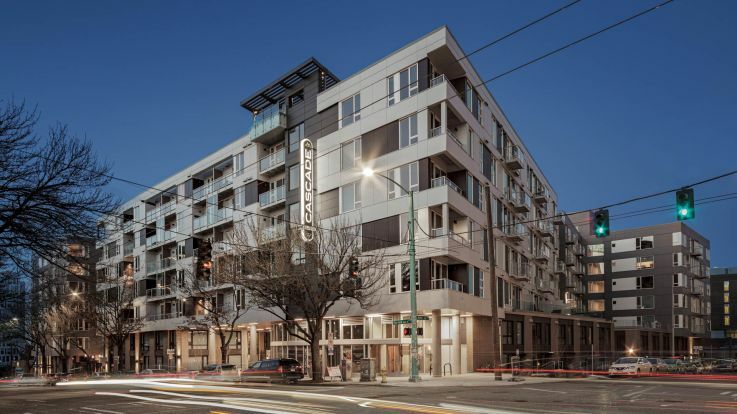 In addition to air conditioning, our apartment homes offer modern amenities and gorgeous finishes that include rooftop decks, electric car charging stations, in-home washer and dryers, quartz counters and much more. 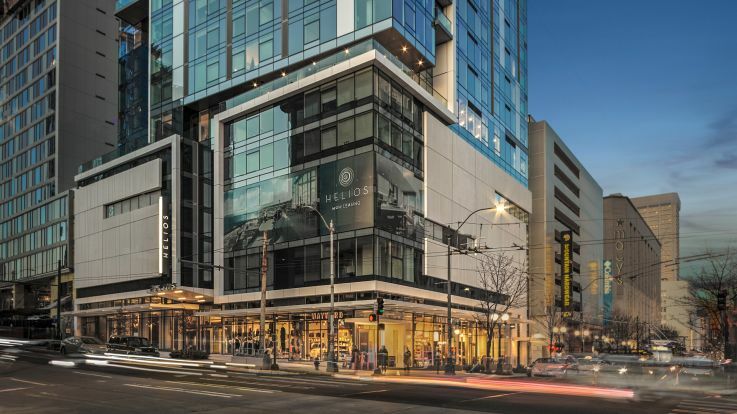 Our communities are also located conveniently close to the local landmarks and attractions such as the Space Needle and Lake Union Park. 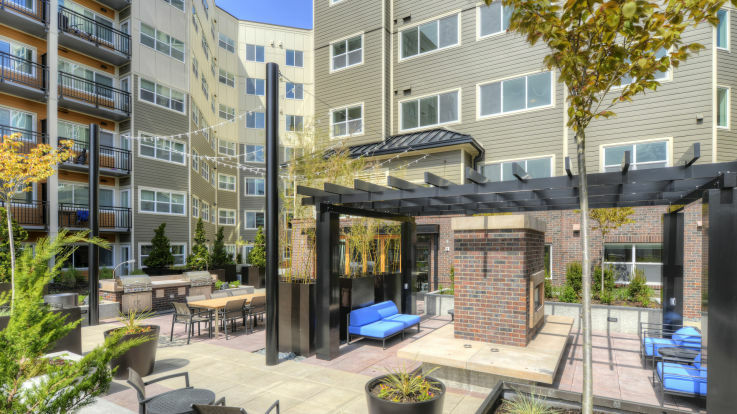 Explore our selection of Seattle apartments with air conditioning and rest-assured that, no matter which way the weather turns, comfort is guaranteed.